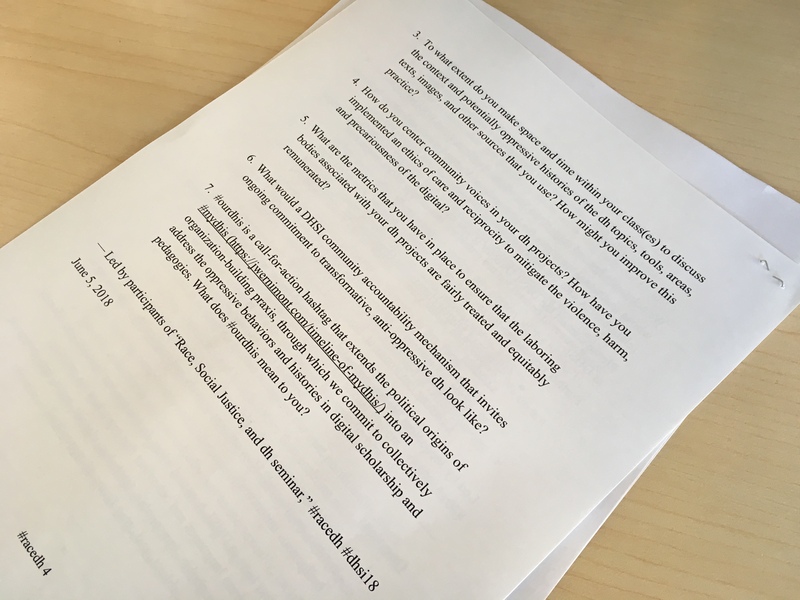 Anti-Colonial DH Pedagogy – who speaks and acts? This work is deeply collaborative and co-led with Ashley Morford (University of Toronto) and Arun Jacob (McMaster University). What is our ethical imperative as pedagogues and scholars in the digital humanities? How might we identify and address the colonial legacies and discursive practices pervading the contemporary technoscape? How might we hone our individual and collective capacities to transform oppressive structures of knowledge-making in the neoliberal academy? 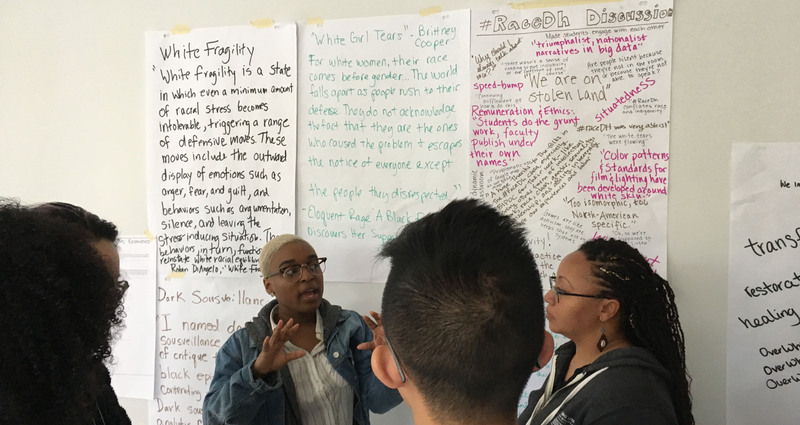 Through engaging with and reflecting on these questions, this workshop invites scholars, creative practitioners, and community members to develop strategies for challenging the damaging colonial legacies of academic teaching, learning, and research practices. 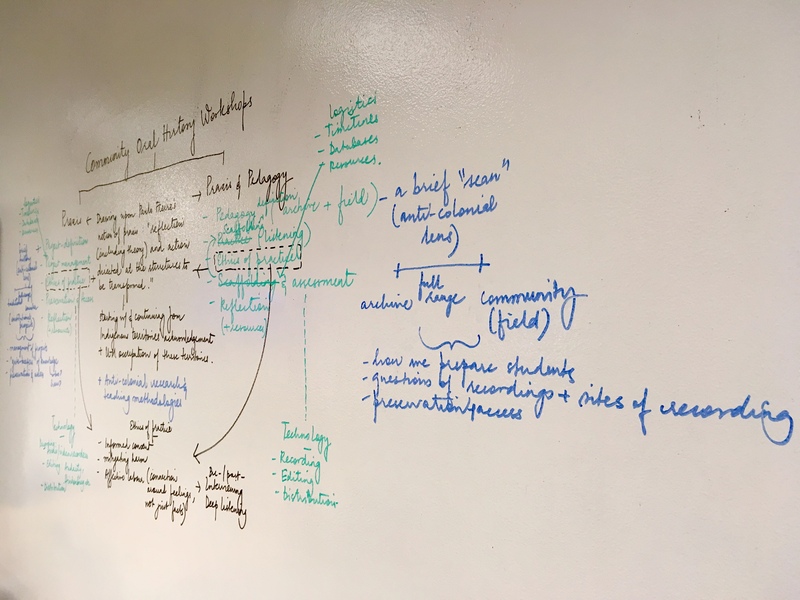 In our daylong session at the 2019 in Digital Humanities Summer Institute in Victoria, BC, we will foreground an ethic of care and community building in identifying tactics that we can share and act upon to disrupt colonial ideologies and systems embedded within the field of digital humanities. Building upon Paulo Freire’s writings on the pedagogy of the oppressed and aligning with Third World feminist, Indigenous and women of colour feminist, and queer and crip justice work, we will imagine the de- and anti-colonial possibilities of classroom teaching for a bolder and more affirming environment for digital humanists and professionals inside and outside the academy.